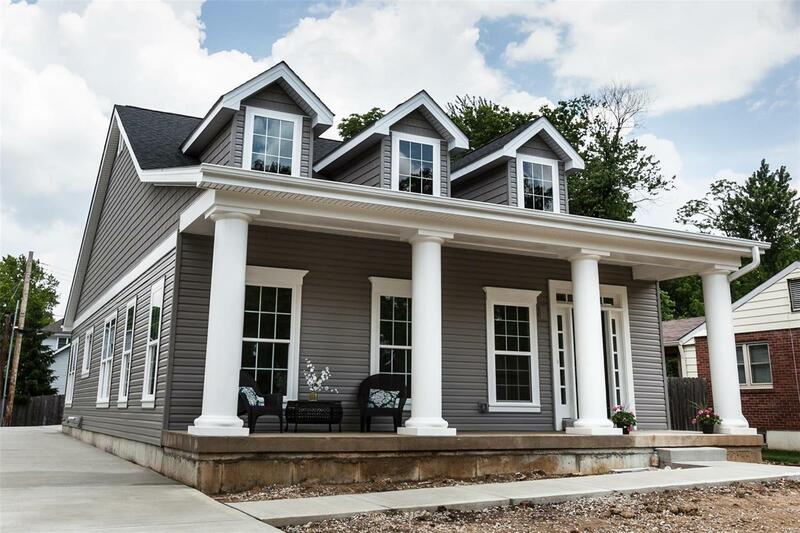 Gorgeous new construction from KCSTL. This house is loaded with spectacular amenities. This house boasts an open floor plan, beautiful eat in kitchen with granite countertops, first floor master suite, complete with a sitting room and stunning walk-in closet. 9' ceilings, wood floors, custom cabinets and mill-work, an oversized 2 car garage and a low maintenance yard. The large finished basement includes 2 more bedrooms, a second full bathroom and a large rec room. This home will not disappoint with the exquisite attention to detail we have come to expect from KCSTL over the last 50 years! Elementary School: W. W. Keysor Elem. Thank you for visiting today. If this is your first visit, take your time and look around. I have plenty of information and resources available to you. If you are a return visitor, thank you. I would love to hear from you and tell you how I can solve all your real estate needs. Copyright 2019, Mid America Regional Information Systems, Inc.(MARIS). All rights reserved. Assist-2-Sell Premier Realty does not display the entire IDX database of Mid America Regional Information Systems, Inc. (MARIS MLS) on this web site. Property listings of some REALTOR® brokerage firms have been excluded. Listings displaying the MARIS logo are courtesy of the participants of Mid America Regional Information Systems Internet Data Exchange. Information provided deemed to be reliable but is not guaranteed to be accurate. Buyers are advised to verify all facts before making a decision on purchasing a property. No warranties, expressed or implied, are provided for the data herein, or for their use or interpretation by the user. Mid America Regional information Systems, Inc. (MARIS) will not be held responsibility for the content of such records. Last Updated On: 2019-04-22.